Donor retention is a critical part of growing your nonprofit’s mission. Using a drip email welcome series is a great way to start a relationship with new constituents that hopefully lead to a long-term relationship. According to research, donor retention is declining across the nonprofit sector. So, starting off on the right foot with new donors is critical to building that long-term engagement. New donor welcome series have also become easier with the advent of drip email marketing, also known as marketing automation. Email providers like MailChimp, ConstantContact, ActiveCampaign, Pardot and more are readily available to nonprofits, and make setting up a welcome series quick and easy. Drip email campaigns are an automated way to send out emails to a user based on around a schedule and a behavior that triggers the series. For the purpose of this post, the example is a new donor to your organization. When they first give a gift it would trigger the email welcome series. An email welcome series is typically 3 to 4 emails sent about a week apart. The goal is to reinforce the decision that the donor made to support your mission. Then lead them down a pathway towards further engagement. It's really important to get your messaging in a welcome series correct. To develop better messaging, we recommend using stakeholder interviews and surveys. Do NOT ask them for more money. This will give the impression that’s all you care about. 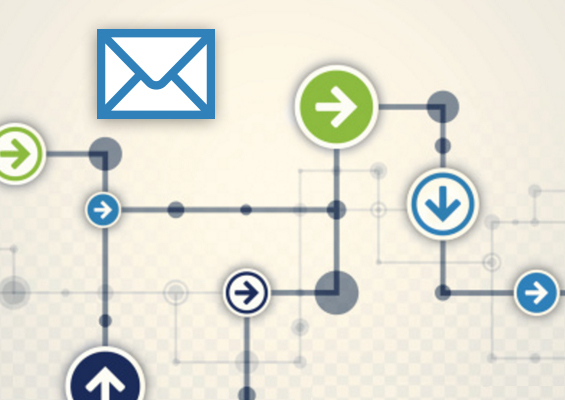 Why is Marketing Automation Critical to Your Drip Email Campaign? As we all know, nonprofit staff are constantly wearing a million different hats. Because marketing automation is automated, it reduces the staff time needed to manually engage constituents. Simply put, it builds capacity at your organization, while also building relationships. Your email drip campaign should always be personalized. So, make sure that you are using merged data to address the new donor personally. As we mentioned above, the campaign should be 3 to 4 emails long, and you can send each email about a week a part. There’s no better way to start a relationship than thanking someone. Immediately after a donation is made, send a thank you note to the donor. The note should reinforce their decision to donate to your organization. Talk about the values or your organization, and how you are making an impact. This is also a good time to talk about your organizational goals. Demonstrate that you have a big vision and a plan to get there. Think about more than just a written email. Try a video message from your executive director, or a video that captures your organization’s mission and vision. Storytelling is a great way to show organizational impact. This email could include a compelling image from the impact story, a teaser about the story, and a quote. At this point, the new donor should feel connected to your mission and values. Don’t forget to be specific about the value this step will bring to them. Why is the newsletter valuable to them. For example, first to receive volunteer opportunities, or access to publications/resources. Relationships should be a two-way street. This is no different with constituents. Send an email about resources or publications that could be helpful to the donor. Perhaps offer special access to a volunteer opportunity. The bottom line is, help the donor realize that your organization can add value to their lives and experience. Do something nice for them. A/B test your email content - testing your emails will allow you to tweak the content to get better and better over time. Compare email subject lines, deliver dates/times, actual email content, imagery, etc. Use Landing Pages - landing pages help increase conversion rates when you are asking users to take an action. Services like Unbounce, LeadPages and Instapage make this process extremely easy. Segment Users by Action/Interest - many marketing automation systems will allow you to track user interests by the types of links they click on. Use this information to further engage the donor based on their interests. Link Drip Campaigns - when a donor finishes one drip campaign, start them through another automation sequence based on the behaviors that the donor has taken during the welcome series. Generating a marketing plan for a nonprofit is a daunting task, to say the least. Content strategy is an easy process that will help you figure out who you are marketing to, and how to talk with them in a way that motivates them to take action. Our 2016/17 brandUP Awardee is Root & Rebound, an amazing organization that helps guide reentry for formerly incarcerated people and their families. They recently launched an online training hub, which needed an effective marketing strategy to build awareness for this incredible new tool. Since Root & Rebound already has exceptional branding, we focused this project on helping them create a build a strong and holistic content strategy that would serve as a foundation for the marketing communications going forward. We’ll break the process into simple steps below. 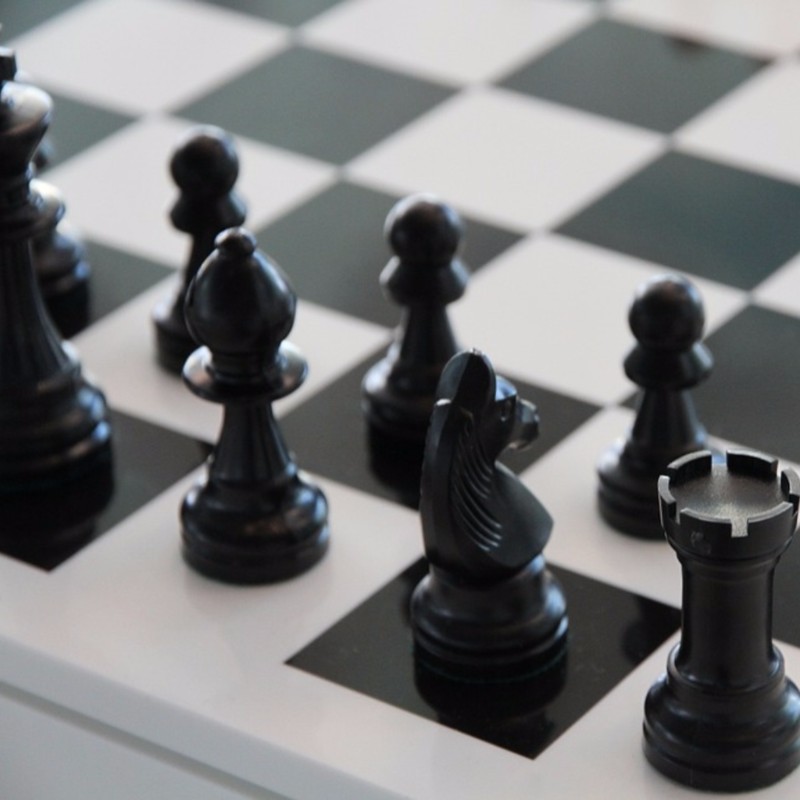 Put simply, content strategy is a way that you organize content and messaging across your marketing channels to appeal to specific audiences, supporters or potential supporters. By analyzing your audiences, you can create compelling content that will motivate them to take some kind of action. I began my career as a teacher and school administrator, so that informs the way we approach content strategy to a large degree. As a whole, Rootid’s approach to Communications is more about helping our clients authentically educate their stakeholders and constituents, rather than advertise to them. Effective content strategy is not just defining your audiences and how you are going to ‘tell them stuff,’ it is thinking more holistically—taking into consideration who they are, what they like to do, what they want from you and then, finally, what you want from them. A strong content strategy puts the core values of your organization at the center and then pairs them with the needs of your stakeholders and constituents. 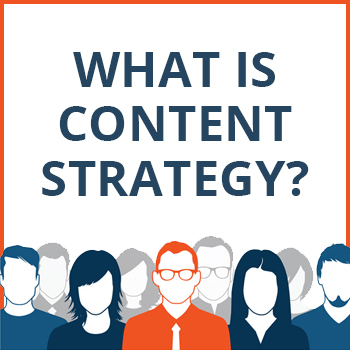 So what is the process for developing content strategy? We break it down into steps below. When starting a content strategy project with clients, we begin by asking them to identify all of the types of people their organization interacts with. By defining those people and considering their worldviews, personalities and lives (what they like to do in their free time, what they value, etc.) we are then able to group them by similarities. Persona is just a fancy way to say you are grouping your audience members by what motivates them and then creating a ‘faux’ person/profile to represent those wants and needs. Once you know who your personas are, you can start building scenarios of how best to introduce, educate and inspire. For Root & Rebound, we found the audiences who would be using, talking and supporting their online training hub fell into three categories/personas, which we named: ‘Motivated Second Chancers & Their Loved Ones,’ ‘Community Connectors,’ and ‘Inspired Contributors.’ Each of these groups would approach their Reentry Training Hub in a unique way, so they would need to be addressed accordingly. Remember, a good content strategy is about connecting the needs of your audience with your core values. Just like establishing a new friendship, it can not be about an agenda, but rather a relationship. Once you know who your personas are, give them names and personalities so you can interact with them as real people—individuals with hopes, dreams, motivations and needs of their own. The journey is how you guide one such person from unaware of your organization to a loyal brand advocate. Marco is a social worker in Los Angeles at a large anti-poverty nonprofit. His low-income clients (many of whom have records) are looking for access to basic needs, including housing, healthcare, and employment. He is 4 years into his career and is both passionate and excited to help his clients in any way he can. Marco is frustrated/limited by the traditional approach of his work—he sees patterns and cycles in reentry and reincarceration, so he’s is looking for creative ways to support and energize his clients. Marco is a member of Los Angeles Reentry Regional Partnership and one day through the listserv, he heard that a group called R&R was coming down to deliver a day training on reentry legal barriers to support practitioners and personally impacted people. Marco attends the training, learns about the reentry training hub and begins using it to quickly find specific information for his clients every day. He orders wallet cards and postcards to have in his office so he can easily share them with clients and colleagues. He also follows R&R on social media, sharing posts about various topics to help educate his friends and family. Now that we know who our personas are, what motivates them and how they learn about our organization, we develop content that would interest them at the various stages of their journeys. For example, an article that Marco might want to read when he first learns about Root & Rebound will often be different than what he will share with friends, family and colleagues once he knows R&R is a thought-leader and trusted resource. Building out personas for your donors? Make sure your website is optimized to generate the most donations possible. Download our guide! Let's face it—writing content for nonprofit websites can be difficult. We all know the feeling of staring at a blank page and trying to develop compelling content. Unfortunately, research shows that great content for your online marketing efforts is critical to higher conversion rates and engaging user experiences that lead to higher donations, volunteer signups and conversions for the nonprofit. What are the two things we want users to do on this page? What are the top three things we want users to take away from reading this page? Know what concerns them, motivates them, will engage them. Think about building personas to help with content strategy. Address your web visitors directly. Use the word you. Start with your conclusion—write so your most important information is first. Limit each paragraph to one key concept—four sentences max. Use short sentences—twelve words on average. Break your content into sections with meaningful headings—include keywords in headings. Skip unnecessary words—forget descriptors like very, really, etc. Break up the content with rich media to tell a better story - there’s no better way to tell a story than visually. Videos should live on YouTube or Vimeo for performance help. Avoid using industry/organization specific jargon. Write so every user can understand you. Assume your user knows nothing about the area you work. Be factual and accurate. Where appropriate, cite trusted sources with links to trusted websites or by quoting trusted authorities. Explain why your organization is uniquely qualified to address the issues. Quotes can be a great way to break up content on a page. Keep your language active! Avoid the passive tense. The bottom of the page should be building to a call-to-action. 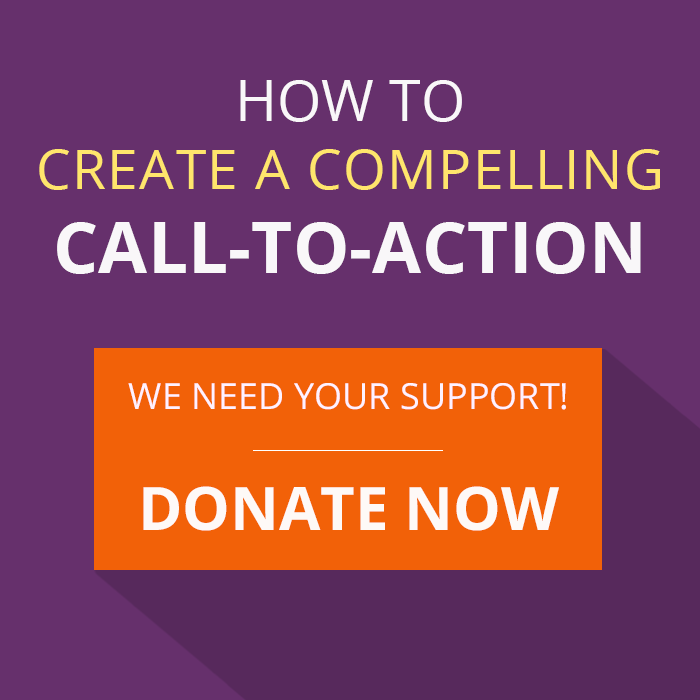 Make sure that there’s a clear call-to-action somewhere on the page. Moz provides a great keyword research tool. Find 2-4 keywords that you want to focus on. It’s important to include keywords in your page title and sub-headings. Don’t use so many keywords that it’s not human-readable. It’s more important to provide users a great experience than cram your page with keywords. Solicit feedback from users in a contact form, blog comments, etc. Don’t use crazy colors everywhere. And there you have it! Go use your newfound content-writing skills to change the world. No pressure. In addition to compelling content, there are a lot of important factors that make your website effective. Download our website checklist to find out the critical steps to increase your site traffic, donations, and website leads. If you are like most nonprofit marketing professionals, you’re overworked and under-resourced. Email automation is the solution you’ve been waiting for! Setting up marketing automation systems that trigger emails and autoresponders, drastically reduces the time you and your team spend manually sending emails to court donors, members and volunteers. A report by DemandGen, a research firm, shows on average a 20% increase in sales opportunities versus non-nurtured leads. Of course this is a statistic on for-profit work, but it doesn’t take much of a leap to assume that nurturing sales is very similar to nurturing donors. The concept of email automation is pretty simple: if a prospect or constituent perform an action, an email (or series of emails) is triggered in sequence. The sequences can include decision trees based on the user’s interaction with any of the emails in the series. Demographic/Characteristic: Say a user RSVP’s to a volunteer event at a particular volunteer site and you ask them their age. If you store that data in a CRM, you could send an email based on that demographic information. There are endless pieces of information that could trigger automation workflows, but I’ll try to stay out of that rabbit hole for this blog post. Here are 3 ideas how your organization can get started with email automation. A welcome series is a great way to begin the cultivation of a new constituent to your organization, and ultimately will make them feel more engaged with your mission. Ask the new constituent to take one more step in their engagement with you - usually a small step forward. Don’t go asking them to marry you on the first date! Here’s a hypothetical scenario we’ve probably all experienced: email newsletter sign-up. How can we use email marketing to nurture this new relationship? Below is a quick series of emails that you could send. Send a thank you email that demonstrates your appreciation for their interest. In this email, it’s a great time to link them to an overview of the work that you do. 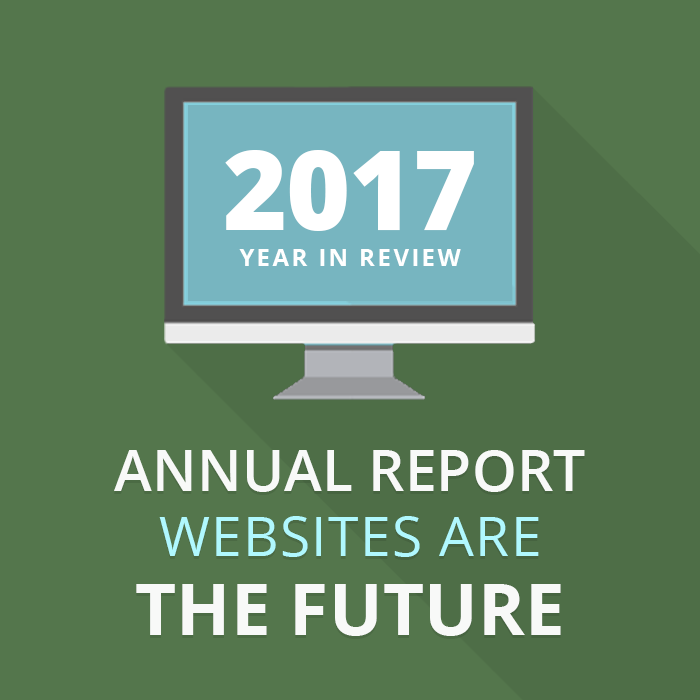 Perhaps you have a blog post about a recent milestone your organization has reached, or you have an online Annual Report for them to look at. The most important thing: provide context to your organization. What is your business case? Send a testimonial about your work. This should be a powerful story that drives user interest. Even better, if you have a video testimonial of some kind, send it. Video is a powerful medium that shows real people that have participated or been affected by your mission. The best stories are personal ones—find a person, animal, place, etc. that you can tell a story around. Want to know what makes a good story? Read our post on writing stories that drive engagement. The bottom line: it’s important to showcase how your work impacts everyday lives. Note to Self: Establishing trust before you ask someone to do something is extremely important. Consumers want to trust a company before they buy their product; donors want to trust that an organization is going to steward their donation well. We all know where this email automation workflow is going, right? Yes. We’re going to ask the new constituent to do something: make a donation, volunteer, become a member. It actually doesn’t matter what the ask is, the point is that we’re going to ask. Just this alone means your organization better be trusted if they expect the ask to go well. Annual report: Send the new constituent to a page about your organizational fiscal responsibility. Perhaps an annual report. Showcase a known supporter: If your organization is endorsed by a famous person, ask them to write an endorsement. Or better yet, do a quick video endorsement. Show a rating: though I’m loathe to fall into the charity rating charade (don’t get me started…), you can link to your Charity Navigator rating, or online reviews, or some other kind of rating way to bring proof of your organization’s virtues. Bottom line is: There are a lot of ways to establish trust. This is a critical time to do it. Now, don’t be scared. We hear all the time that staff are scared to ask a new constituent to do something immediately. My response normally is, they’ve already shown they like you by signing up for something, don’t be scared. Some people will even be flattered. And, there’s no better time to make an ask while their first commitment (in this case e-newsletter sign-up), is fresh in the user’s mind. But, it’s also important not to be pushy in how you ask. My opinion: for someone that just signed up for an e-newsletter, I think it’s better to ask something simple like RSVP to an organization orientation, or perhaps you do tours of a work site that your organization has. These in-person engagements can take that initial relationship to the next level—put a face to the cause. Ask them to volunteer at your organization. Ask them to an upcoming event. The key is, make them take one step closer to your organization and help them feel a personal connection. When a supporter has RSVP’d to an event, it is a great time to engage them even further into your organization. Let’s say for example you’re throwing your annual fundraiser. Here’s an email marketing automation series that will get your guest pumped to attend and hopefully motivate them to be extra generous with their support this year. Send a thank you and confirmation that they signed-up for the event. In this same email, it’s a great time to put a quick teaser in about the event theme. Usually these types of events have themes like an anniversary, support for a strategic organizational goal, or maybe it’s the celebration of a milestone—take on a campaign type feel. Regardless, this event needs context. How is it contributing to your organization’s success. Perhaps the constituent already knows the context, but it never hurts to reinforce. The theme or campaign message can be really powerful if delivered by video (starting to see a theme here?). It’s time to talk impact! Again, this is a fundraising event, so establishing your organization’s impact is going to be important before you ask this person to donate. Story of a person, place or thing that benefits from your organization’s work - videos can be very compelling content here. Even better: if individual’s testimonial and speech will be the centerpiece during the event, you can provide a preview of who they are, the challenges they faced and how your organization helped. Basically, let the person know that your work makes a positive impact in the world. 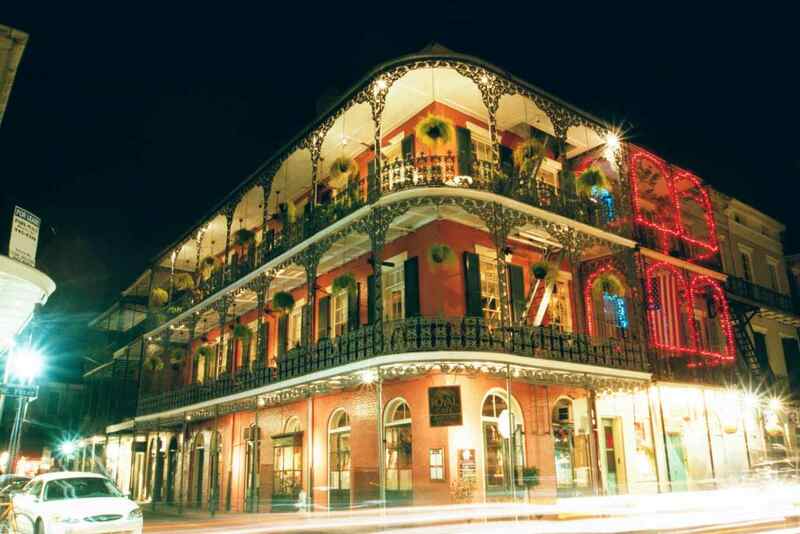 This is a great time to remind guests about the event details. Directions to the location, parking, time table for the event. Maybe you’re having a silent auction, you can preview the top items to get people excited. This not only orients the guest, but probably will reduce no-shows as well. Thanking guests for attending quickly after the event is crucial. If you have details about the fundraising totals and the results that were achieved, share them...and your gratitude in the attendee’s participation in that success. Maybe include a video thank you message from your Executive Director, or a personal thank you from one of the speakers at the event. You can even add a link in the video on YouTube, and ask the attendee to sign-up for your email list, or volunteer, or…. If you have volunteers at your organization, then you know that it is impressive how much these supporters give of their time and talent. However, many organizations are shy to ask volunteer to donate. I can respect that, but I also know first hand from my days as a fundraiser, that volunteers can be very generous with their treasures as well, you just need to ask the right way. Email automation can help you cultivate them into donors at a much higher success rate than simply asking out of the blue. It’s all about education and cultivation. Obviously, you want to thank them for signing up. It’s important to establish how important volunteers are to your organization and their impact. If you have a lot of repeat volunteers, this may be a good time to provide an update about an ongoing strategic goal, large campaign, or upcoming event. Providing fresh content can be a nice touch to an email series like this. Most email automation tools have an easy editing interface that make updates to the email a snap. This is a great time to provide context of what the volunteer will be doing. Let’s say they are doing a river cleanup on the Colorado River. It might be a good time to talk about the importance of the watershed for the health of the ecosystems and cities. It’s also a good time to talk about the impact that volunteers have already had with your organization for the Colorado. If the volunteer’s work will effect a human, tell their story. Use a testimonial to drive emotional connections. The goal: establish your organization’s impact, let the volunteer know the importance of the task that they’re about to do. And always, always thank them! This is a good time to provide logistical support. Directions to location, meeting instructions, clothing/food/water recommendations or requirements. Get the volunteer physically ready to perform their task. Thank the volunteer for their time. Let them know how much you appreciate their commitment to the organization. Make an ask while the experience is fresh in the mind. Don’t be patronizing, or combative. Just state the honest truth. I’d also recommend asking for a small sum of money if they haven’t donated before. Get them in the door as a donor. Once, they’re a donor, you can start a new automated workflow to cultivate and retain their support. Wait, you can chain email automations together also!? Yep. See how cool this stuff is! But that’s a great post for next time…. Email marketing automation is changing everything. If you’re already a pro, I hope these 3 ideas helped spark some new ways that automation tools can help you. If you’re a newby to email marketing automation, I recommend you get started! Over and over again we see that marketing automation has brought success for our clients, and we know that it will for you as well. It’s hard to make your organization stand out in the crowded nonprofit space. That’s one of the reasons that Rootid started the brandUP awards. Our team saw over and over that there are a lot of great nonprofits that are facing resolvable obstacles, but just didn’t have the resources or expertise to break through. Here are few ideas on how we think organizations could use the brandUP award to better their organization. This doesn't mean that you can't use the award for something else. Remember you know what will take your mission to the next level! But, we thought these were cool ideas as project, or even part of projects. Many in the nonprofit world believe that branding something that the for-profit sector should deal with, and has no use in the nonprofit world. In fact, branding is just as important for nonprofits as it is for profit-seeking companies, and perhaps more so. The Harvard Business Review reported that 64% of people cite shared values as the main reason they have a relationship with a brand. In the world of nonprofit work, isn’t shared values one of the biggest things you hang your hat on to generate loyal supporters? Of course it is! Rootid works with clients to generate brands that speak to their supporters. Most people think about brand and they think about logos. This is certainly part of a brand, but a logo isn’t generated out of thin air! Our brand development process starts way before the production of artwork. We start by interviewing internal and external stakeholders extensively. From these interviews we have a clear understanding of a brand's core values, who your target audiences are, what motivates those audiences, and the channels through which we can speak to them best. Do you know what your brand stands for? 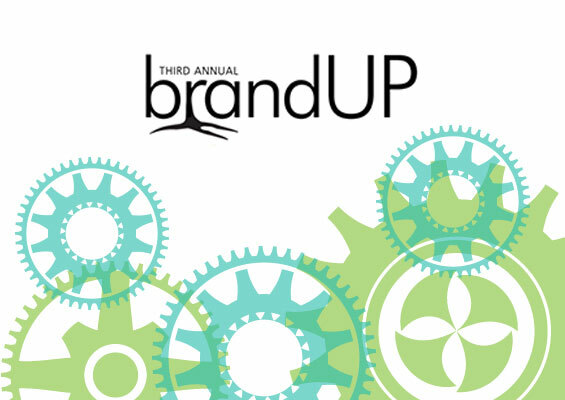 The brandUP awards could be a great time to do some deep soul searching about how your brand is positioned and if it is effectively reaching your audience, and expressing shared values. It’s hard to get your marketing message out to your supporters in the age of cell phone alerts, social media, and streaming TV. Having a rock solid content marketing strategy will help you engage more constituents and keep them engaged. According to a recent survey by the Content Marketing Institute, 79% of nonprofit professionals said that fundraising is the number-one goal of their content marketing, with brand awareness coming in second and engagement third. Yet, only 25% of respondents have a content marketing strategy in place. Relying on content marketing as a primary driver for fundraising, but having no plan is not going to be successful. Rootid works with clients to build content marketing strategies built around a better understanding of your audience and the end goals. The bottom line: who are the people that come to your site, and what do you want them to do? We will generate user personas through focus groups and user interviews. Then, we build an actionable content marketing strategy that identifies communication channels that will reach the most users, messaging that motivates them, and website design that will drive them to take action. Content marketing is a vital piece to build brand awareness, boost donations, and widen your inner circle of supporters. Website users no longer expect their online experience to be a one-way street. They want to hold a conversation with a brand. User Generated Content (UGC) is quickly becoming a vital piece of a brand’s story. Content like, images, Tweets and video that are posted about your brand by your supporters an have become more valuable than anything that your marketing team can themselves. In fact, according to comScore, and online research firm, 70% of consumers report that they are more likely to trust a peer recommendation over content professionally written one. Basically, it means content that your supporters create and share about your nonprofit speaks volumes more than anything you produce in-house. So, let's capture the power of UGC! UGC campaigns or features on your website can be power ways to tell a story. Hashtag campaigns - use a tool like Juicer.io to curate content posted on social media to build a campaign story. User-submitted stories on your website - allow users to submit videos, images and text to your website. After an approval process the story is posted. Gamification of a pledge - challenge one group of supporters to “out pledge” another group of supporters. The pledge can be fundraiser driven, or volunteer hours driven, or something else. Ask the groups to post about the experience through social media. There are still more ways, but for the sake of space, we left it at three. Ever stared at a bunch of text with stats in it? Yeah, it’s really boring and usually you miss the story that someone is trying to tell. Interactive data is a powerful way to tell a story, or compare information. There are a lot different ways that you can accomplish this. If you organization does a lot of research, interactive data can be a really powerful way to display your work. Rootid recently worked with a think tank to showcase the research they did comparing California school district performance on a number of key factors. Interactive data not only tells a richer story, but it positions your organization as a leader in the field and boosts online engagement. Would you like to increase donations, volunteers and memberships at your organization? Marketing automation nurtures your supporters, or new supporters, by bringing them closer to your organization without the need of staff time to do it. According to HubSpot, a marketing automation company, nurtured leads make 47% larger purchases than non-nurtured leads. I realize that your nonprofit isn’t selling anything, but it doesn’t take much to make the leap that nurtured leads, or nurtured supporters make larger donations, volunteer more and remain members longer. Additionally, marketing automation frees up one of the best resources that nonprofits have: their employees. By not making your team do all the mundane day to day of sending emails over and over with the same information. Marketing automation is behavior driven, which means if a user opens email A and takes action B, your automation platform will "automate" the next step in the process. Maybe it's sending another email, or inviting them to an event, or asking for a donation. It bases nurturing on action, not guessing. The applications of marketing automation are wide and varied, but Rootid has worked with clients (and we use marketing automation internally at our firm), to widen the reach of their mission, and deepen the relationships with their current supporters.